Being a member of the Saint Joseph’s University Dance Team has been an indescribable experience. I would have never imagined that the incredible journey of being a member of this team and student at this university would lead me to where I am today. Four years ago, I was just a scared freshman, trying to find my way. Now, I am experiencing my lifelong dream as a dancer for the Philadelphia 76ers, cheering for the best team in the NBA in the most amazing city. I am so blessed to be able to continue my dance career in Philly and am forever thankful that Saint Joe’s helped pave the way. 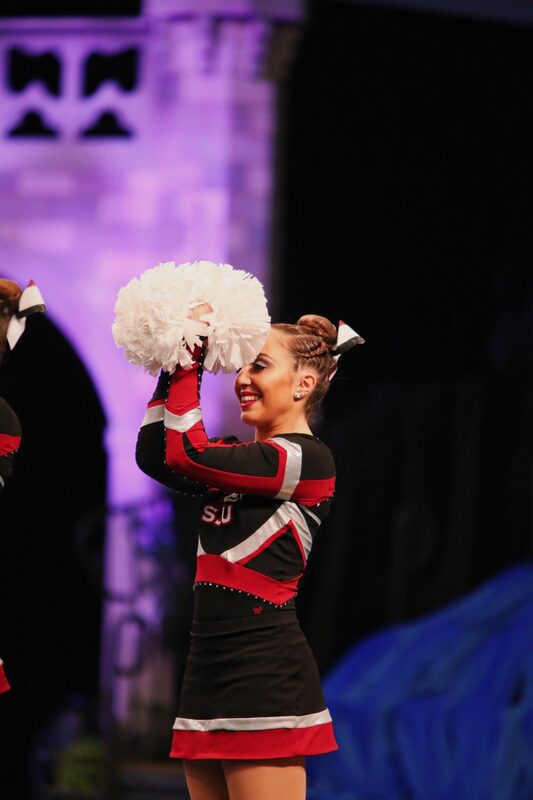 I am lucky enough to have been given so many incredible opportunities through the SJU dance team. One great experience was being able to perform at all the men’s and women’s basketball games in the infamous Hagan Arena. The first time I stepped onto the court, I realized I loved the atmosphere of a packed arena and being able to embody the school spirit by cheering for our teams, and dancing in front of a large crowd. By the time my senior year game arrived, I knew I was not ready to lose that feeling. As a Sixers Dancer, I am able to dance at multiple home games every week in front of sold-out crowds. The atmosphere in The Center is truly indescribable and has only made my love for the sport and passion for dance grow. Another opportunity that helped me immensely was attending the ProAction Dance convention in Las Vegas. I am so fortunate that I was able to attend this event both my junior and senior year of college with the SJUDT. Here, college dance teams and professional NBA/NFL teams gather and learn routines from the best choreographers in the world. I remember being in awe watching the professional dancers and was inspired by both their power and passion while dancing. Watching them made me realize that someday, I wanted to be one of them. Having this opportunity to dance alongside the professionals helped me to grow as a dancer and pushed me to work my hardest and dance my best. During my four years on the SJUDT, I learned many life lessons, made forever friends, and have memories that will last a lifetime. The dance team has prepared me for all my future endeavors, but especially for the 76ers. I was lucky enough to have coaches and teammates who pushed me to be a better dancer and better leader. They motivated me to always give 110% and never settle for less than that. They’ve taught me that if you want something, you work for it day-in, day-out and never stop until you’ve achieved it. Every practice or game I go to, I remind myself of all these things I’ve learned from my SJUDT family. They have prepared me for this journey more than they will ever realize. I remind myself how lucky I am to have their constant support, and I am so thankful that I can truly call them family.